Wedding ceremonies across the world have been diverse and rich in meaning and culture. Different traditions have different ways of exchanging wedding vows. Despite all these differences, the one thing that always stands out is the exchange of rings between couples. Wedding rings have been prevalent across cultures and traditions as a form of commitment and solidarity towards each other. Traditional wedding rings are usually simple, elegant bands of gold. Both men and women have worn them throughout the ages. The engagement ring is usually a sparkly stone set in gold or platinum which is then worn along with a simple gold wedding band. 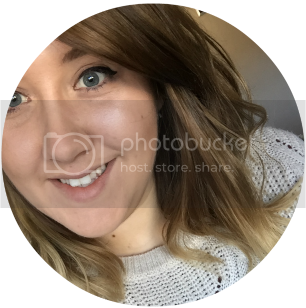 However, if you want a unique experience and are adventurous enough to try new patterns or designs, then we’ve got you covered. Textured wedding rings are the latest trend in wedding bands. Not quite the old band of gold, but not too far from it either. If you crave a touch of the old mixed with something new, then this should be your ideal pattern. 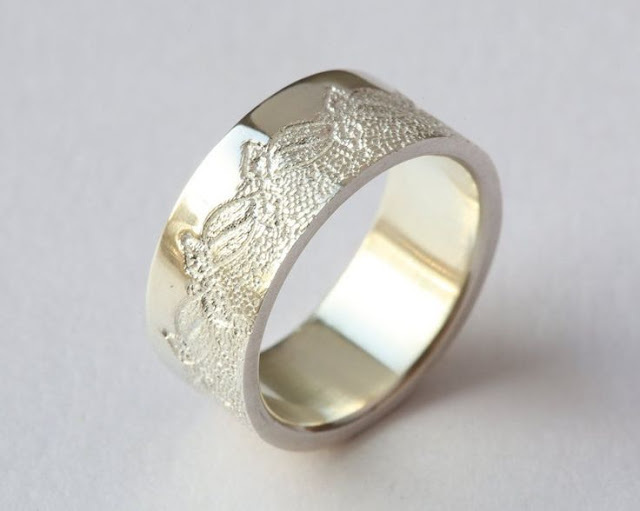 Textured wedding rings can be easily made to size with different metals like yellow gold, rose gold, white gold, silver, platinum, and black rhodium. Opt for a textured wedding ring that can be worn by you and your partner. 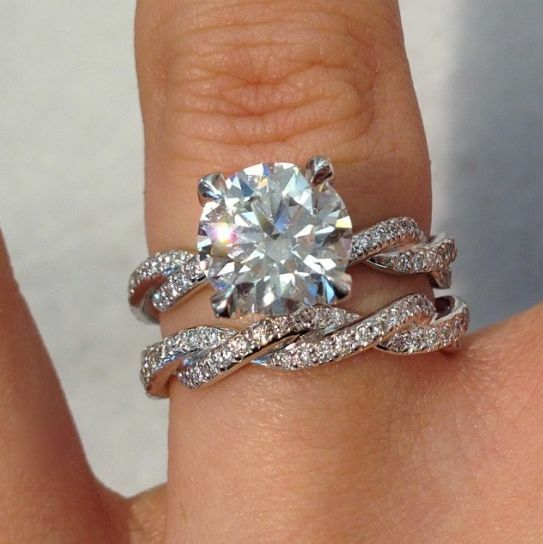 It retains the simplicity of the wedding band but with a modern twist! If you’re up to date with the latest developments in rings fashion, then you would have seen the ‘Crown’. Crown patterned rings are considered worthy of a Queen. These rings are made with lacy or filigree patterns of a crown that goes around the entire ring on a solid metal base. If you want, you could also add small diamonds or coloured stones to give depth to your ring. 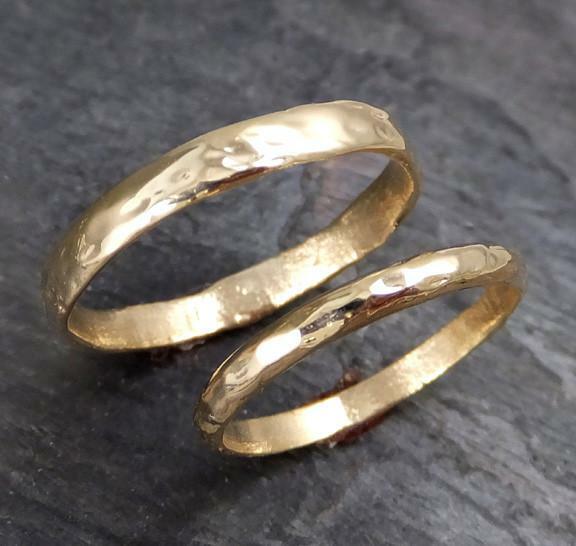 These rings look gorgeous in yellow gold but are also very popular in white gold. Many modern brides choose to retain a part of their childhood with plaited rings. Reminiscent of their younger years, these brides take great pride in including their journey from young girls to strong independent women through plaited rings. These rings signify the transition into womanhood. If you aren’t very sentimental to this ideology but like the design, then make sure you select a chic, slightly rustic looking wedding gown to enhance your plaited wedding ring. 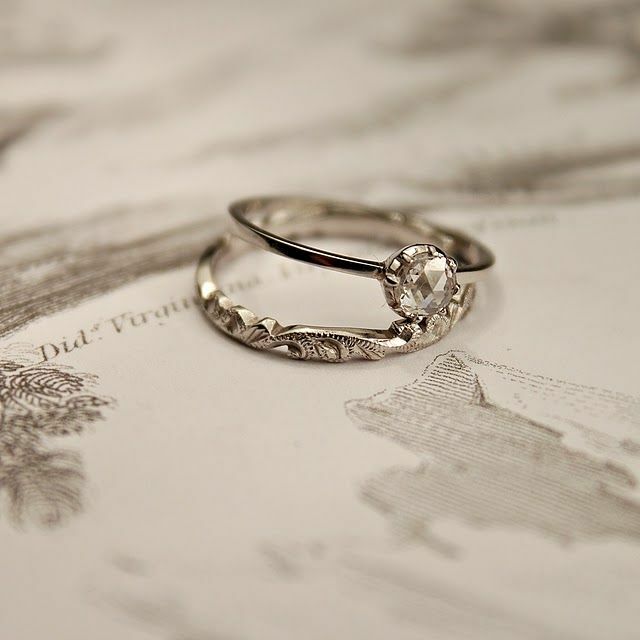 This ring looks fabulous in sterling silver, white gold, and platinum. 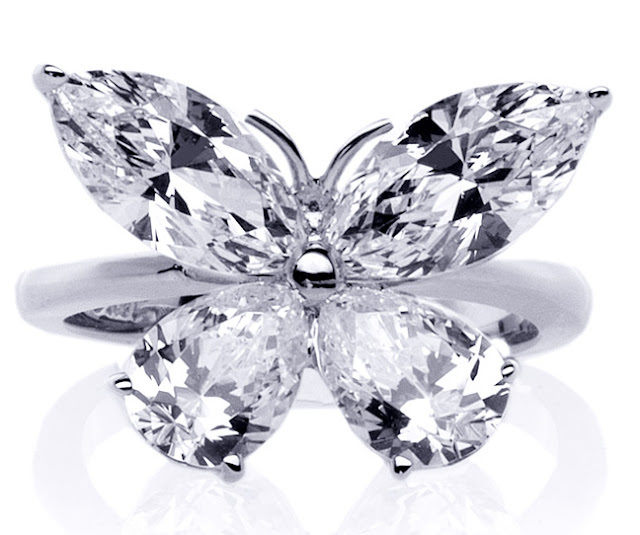 The connection to nature and natural beauty is very prominent through floral designed rings. 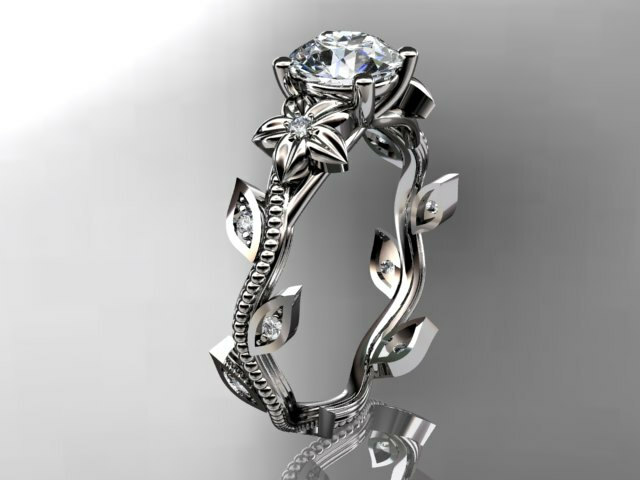 You can opt for leafy patterns, floral designs, small diamond or ruby floral clustered rings, or a band of ivy vines. You can also wear floral rings without your engagement ring ince these carry a depth of meaning on their own. However, if you’re averse to the idea of a stand-alone ring, you should design your floral wedding ring such that it complements your engagement ring. Rustic and vintage looking rings are making a huge comeback. Many couples, who wish to keep their traditions intact, yet want a modern twist to their vows, opt for rustic designs. Scattered diamonds in an uneven metallic frame add elegance and uniqueness to your overall design. You could also consider a vintage patterned ring and recreate it to add more meaning to your own vows. Liberal use of diamonds, rubies, emeralds, and sometimes pearls can add greater meaning to your rustic ring. scales, horseshoes, paw prints, bird wing designs, or butterfly and dragonfly designs have created a new niche. You can order any of these rings in white gold, yellow gold, filigree gold patterns, and platinum. If you’re feeling adventurous, you could also create your own nature ring by adding gemstones and diamonds to create the animal motif of your choice. Artisan crafted sterling silver rings inlaid with coloured stones like rubies and emeralds are also a popular choice to show your connection to nature. 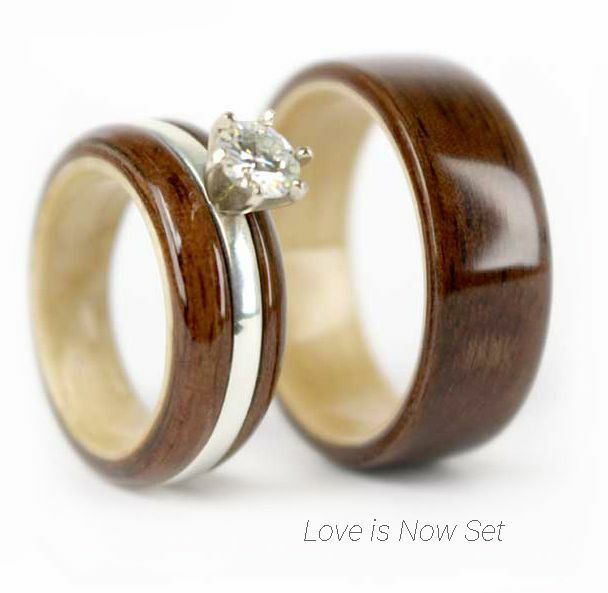 Many modern couples are selecting wooden rings against traditional metallic rings. Some also prefer a combination of wood with metal. Opt for metals like tungsten and titanium against Koa wood and Rosewood to create greater dimensions to your wedding band. These are also favoured by couples who believe in sustainable jewellery and want a creative way to express their style. Have a detailed discussion with your partner on which designs you both would be comfortable wearing daily. This could help bring you both closer and further your commitment towards each other.